Updated (July 28th, 2010): There are many cons about this post, so I remove unnecessary part that might lead to endless argument. I left only the accuracy issue and remove all my personal opinion. You may not find this issue often, I find it after 13 years using AutoCAD, and can’t even duplicate the issue. CAD applications supposed to be accurate. And they are. But in some case, you might find AutoCAD to lost it’s accuracy. It is very rare, considering that AutoCAD uses 64 bit precision and enough for most drawings. I found that rotating objects with typing the rotation angle can be different to defining rotation angle by reference. Sorry, I cannot reproduce this error. Probably it only occurs when the drawing is complex. I do have a drawing that has this accuracy problem, but I can’t share it to public. The problem is not in AutoCAD at all. You might find it in MicroStation too. This might occurs if you draw too far from 0,0. Many designer draw buildings by using global coordinate as reference. And it’s getting worse because we draw in metrics. We use mm in metric, so you can imagine how many digits we are working if the coordinate is hundreds of kilometers away. Yes I know there is a drawing that demonstrate the ability of AutoCAD to draw the solar system. But it’s not a complex drawing. Just a bunch of circles… very large circles. Try to draw details on that drawing, and see if it still accurate. So how we can avoid this? Just draw as close as possible to 0,0. Try to use reference and other units (m, km) to reduce large coordinate. If you do find this problem, and can share the drawing, please share with us. So the others can try. And how do you handle this problem? Any other workaround? I have worked in the Civil/Surveying industry for 10+ years and there is another quick fix for hatches far away from 0,0 if you need to stay in the World Coordinate System. Use the SETVAR "SNAPBASE" and pick a coordinate position that is closer to where you are working in the WCS. This will also affect where the snap and grid origin is, so if you need to use snap/grid make sure you key in even coordinates, 3000000,10000000 for example if you were working in Texas State Plane Central Zone. Hatches just 'trigger an alarm' that something is going wrong. If I go further, my drawing will loose the accuracy. And it's not just hatches. I'll try your suggestion if it can fix the problem. We have a similar problem where our client insists that we deliver CAD model data at real world coordinates – which is 10,000,000 units away from the origin. I refuse to do this in house as I have seen the crazy problems that occur with hatches and particularly wall cleanups in ACA etc. We therefore model at a local building grid and then run a custom aplication that transforms the model data to real world coordinates. This means that the client must battle with the problems but our data maintains its integrity internally. Mike,I won't suggest anyone to scale drawing in model space. Always draw real measurement on your model. Any modification can produce this error. I tried to rotate my drawings with reference, and rotate them back by keying in the angle… it won't come back to the original location. 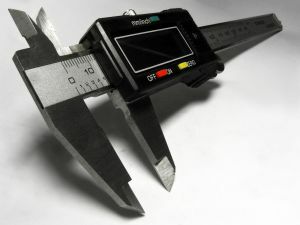 You might want to try to draw lines, and measure them. Try to draw them in millions unit away from 0,0. Currently finishing a Drafting degree with CAD specialization and we are taught to scale drawings so problems like this don't occur. An interesting point though. What is the exact error, or process that create these distortions? 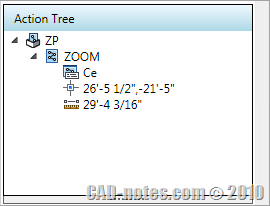 You have touched on an important point by drawing attention to using large coordinates in an AutoCAD file (or for any other calculations, for that matter). Land surveyors sometimes work in assumed coordinate systems basing their work in low numbers, like N 5000, E 5000, and calculation errors will be smaller for this coordinate system, than say, for a state plane coordinate system where the points and drawing elements are, instead, located in the hundreds of thousands. i.e. N 3000000 E 300000. Thank you Eric. That's also what we do here. We tried to create a local coordinate to avoid this. But there are some architectural firm refuse to do this. They prefer to draw in mm for the building design in local coordinate, and then reference it to the whole site which is drawn in larger unit, ie. m or km. 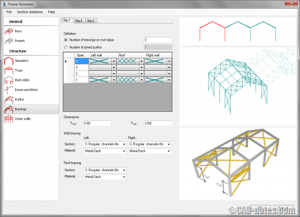 Do you use Revit extensions? There are so many tools available to extend your Revit capabilities, to increase your productivity. If you haven’t used it, then you should try it now!